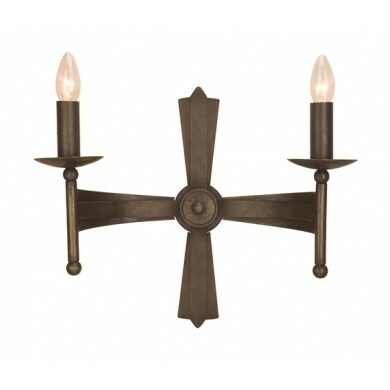 This light fixture is a unique wall light with two candle style lamps that will provide an accent of individuality for any hallway, entryway, or living area. 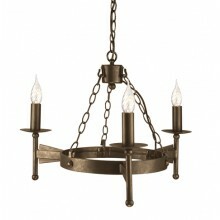 Its design is classic but has an even historical flair and will spice up any indoor setting. 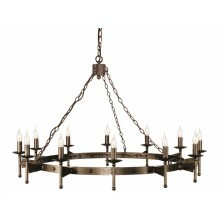 The base of this product has a circular shape and motif, with a cross-like structure extending from that center. 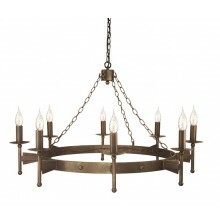 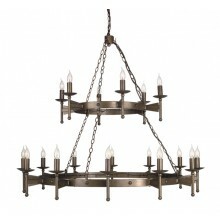 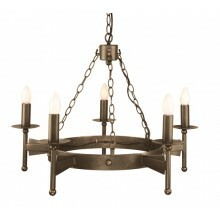 The entire fixture is in an old bronze finish. The two candle style lamps are placed on the horizontal bar of that cross. 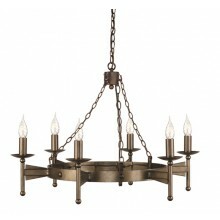 It uses two 60w bulbs to create a warm glow and unique personality.